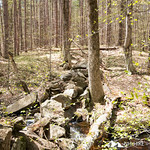 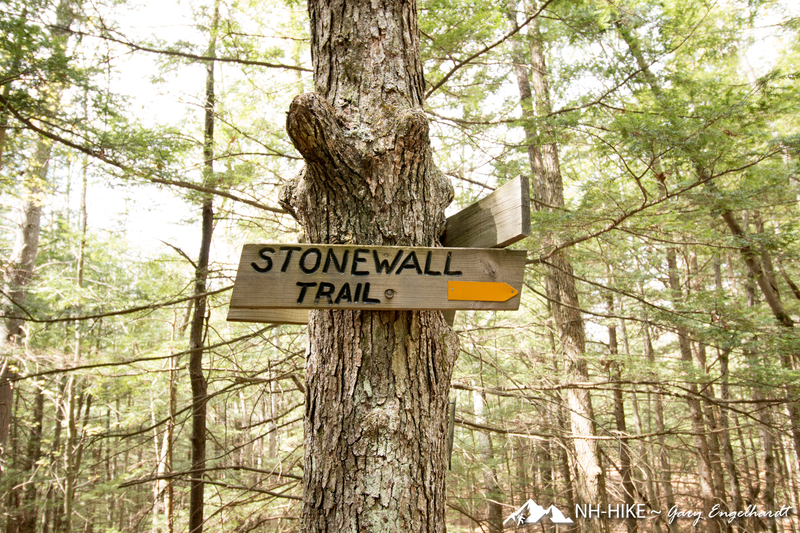 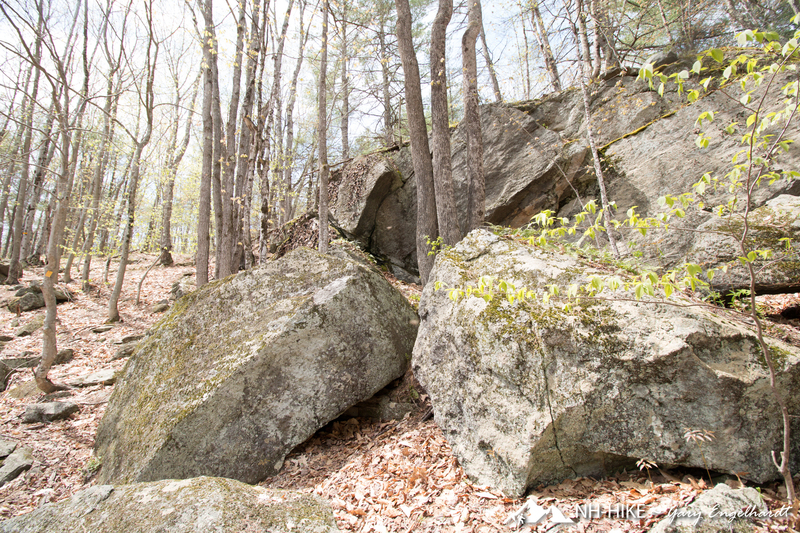 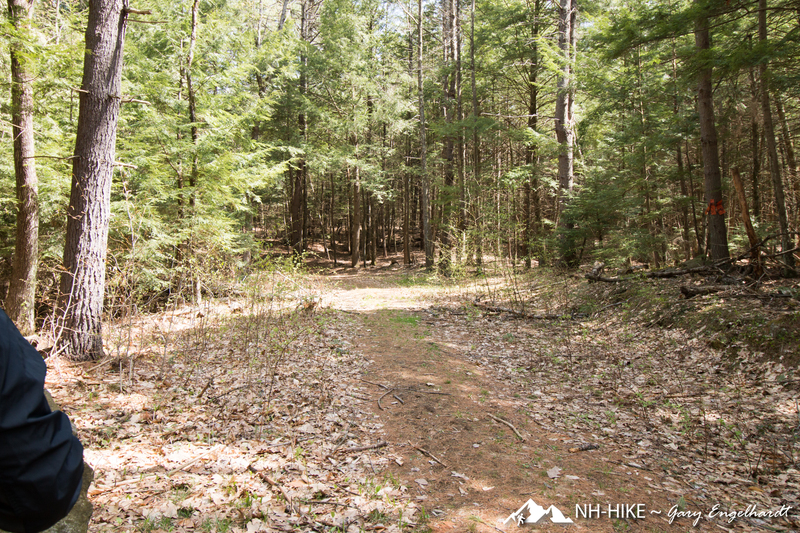 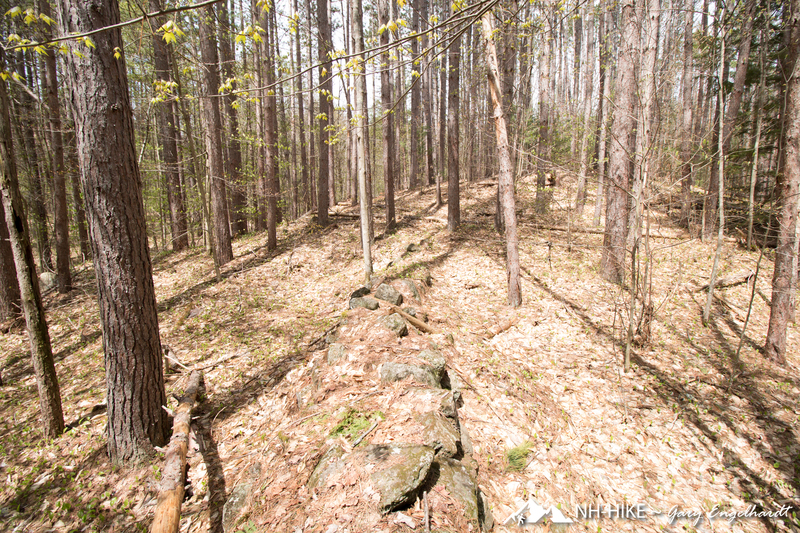 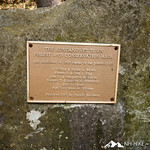 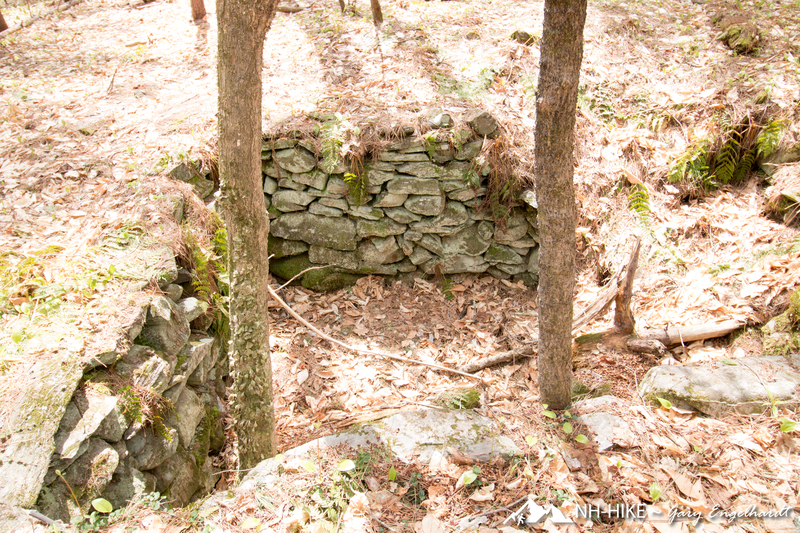 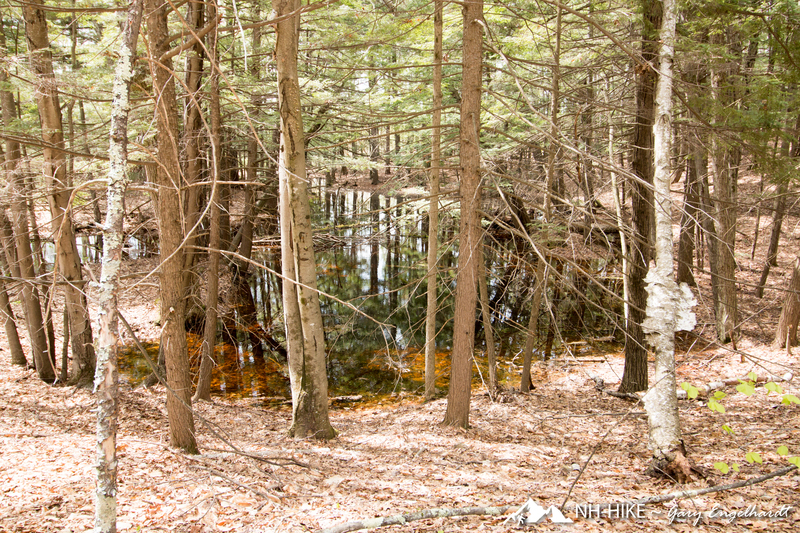 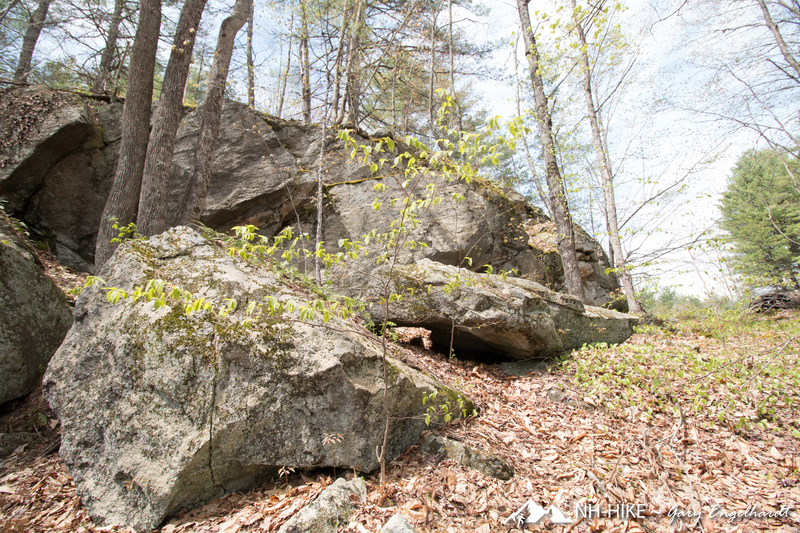 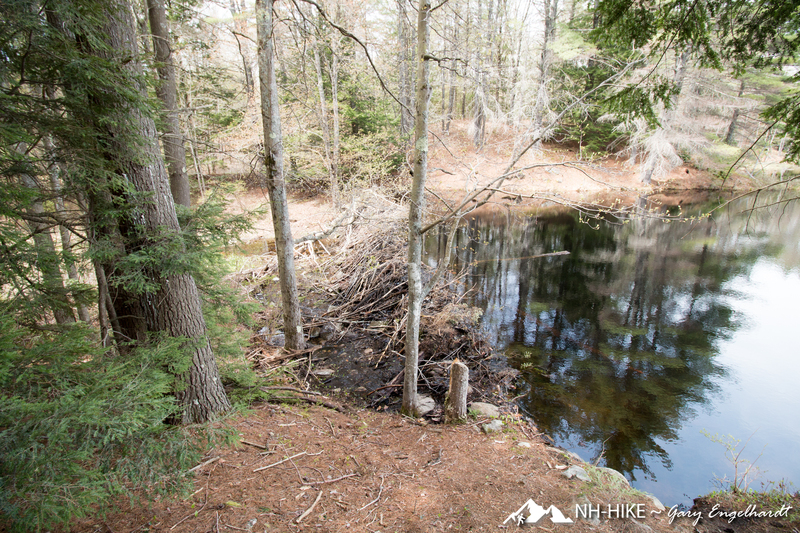 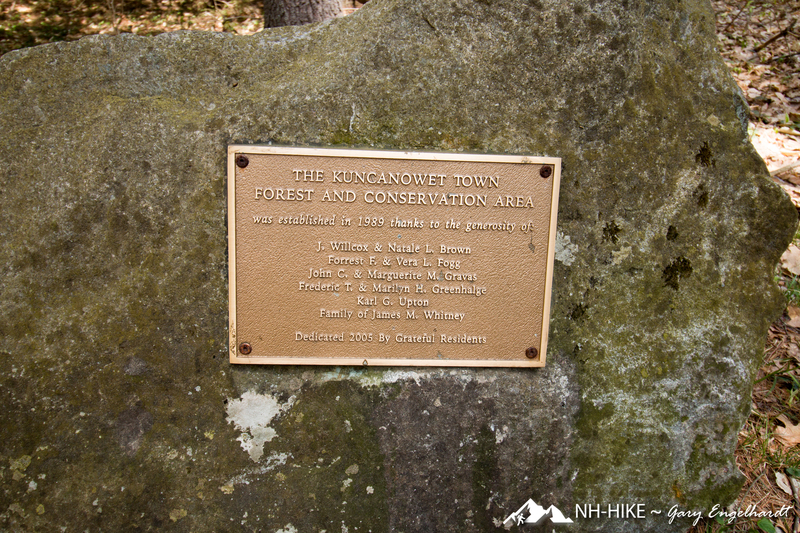 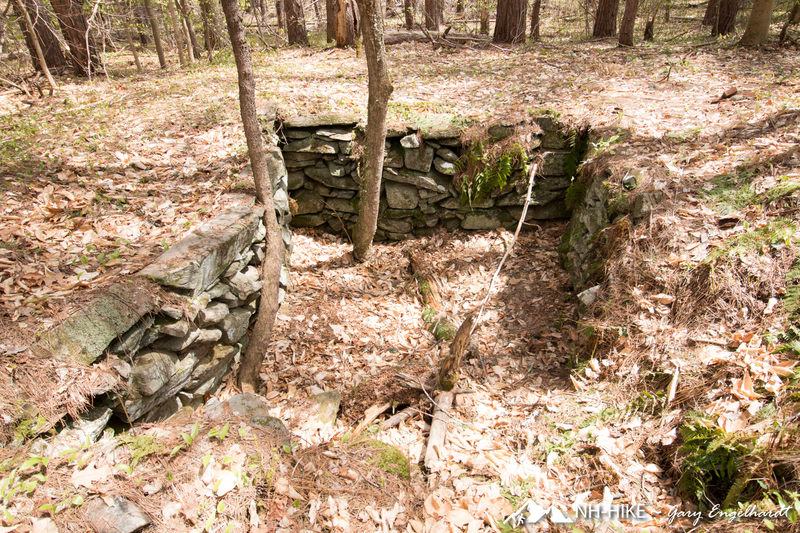 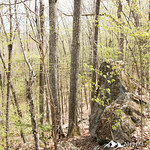 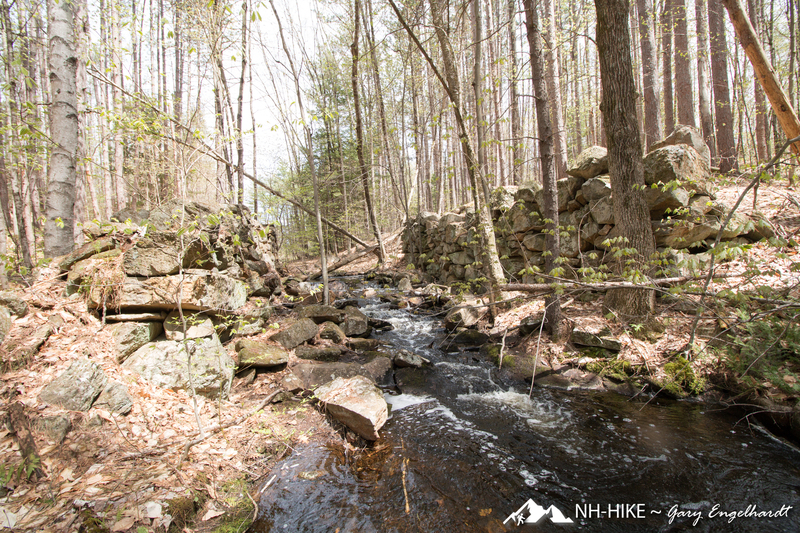 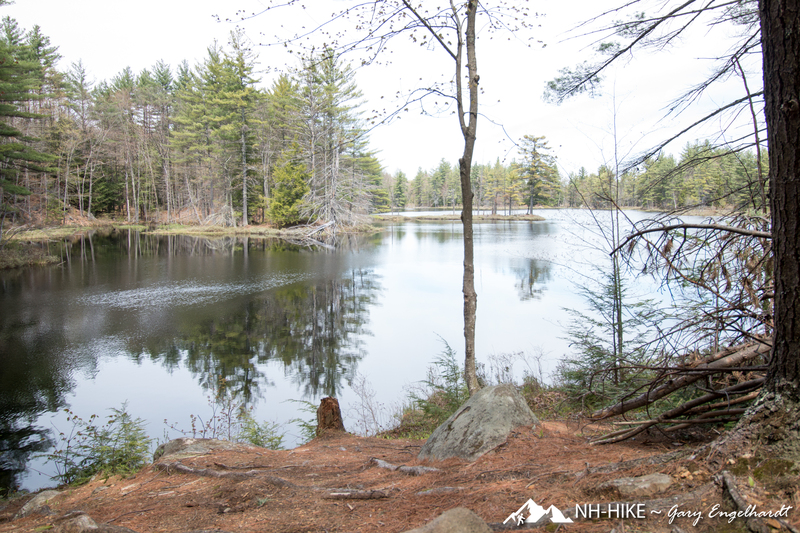 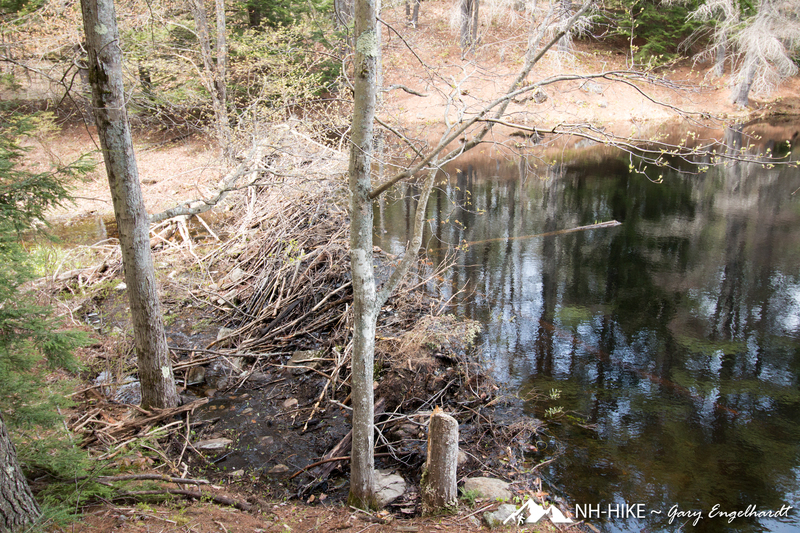 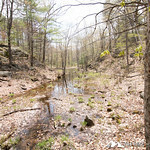 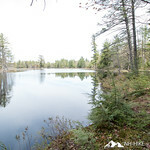 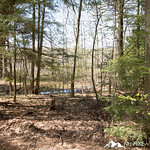 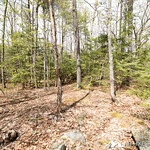 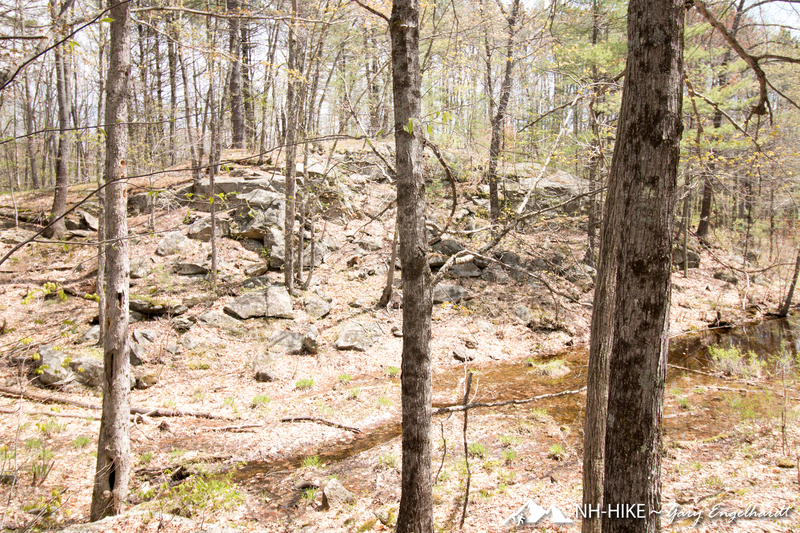 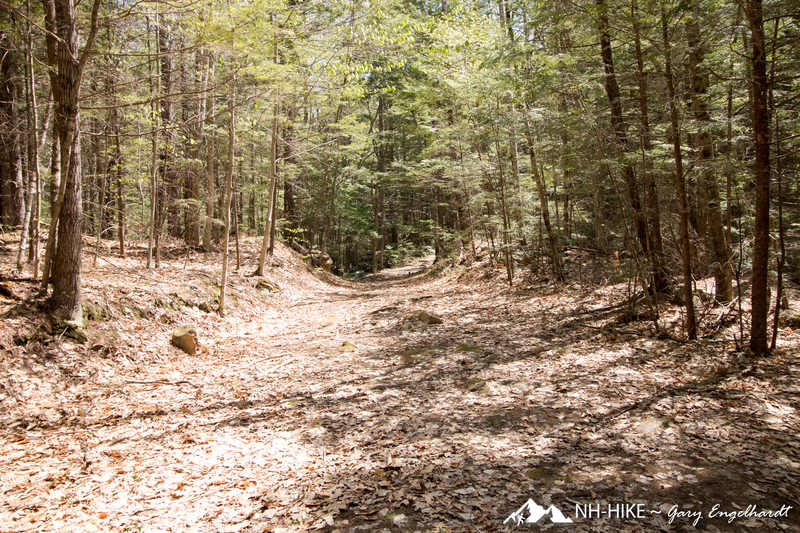 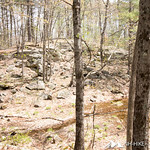 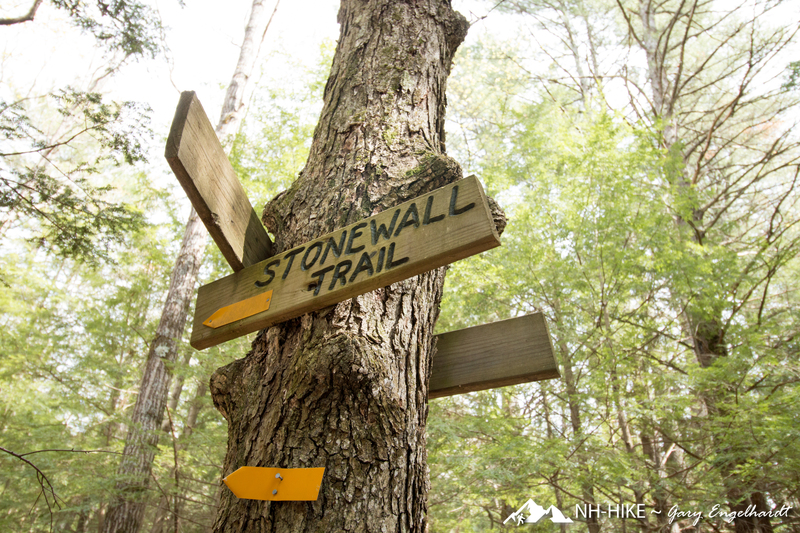 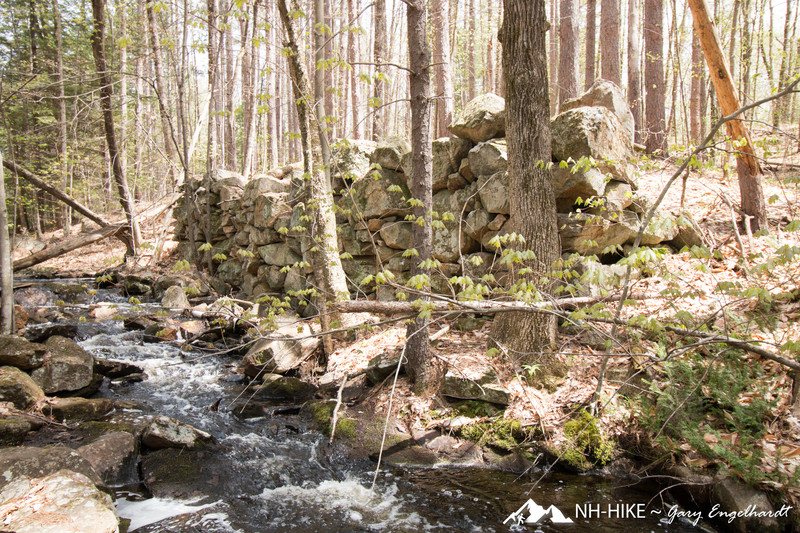 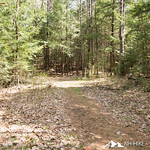 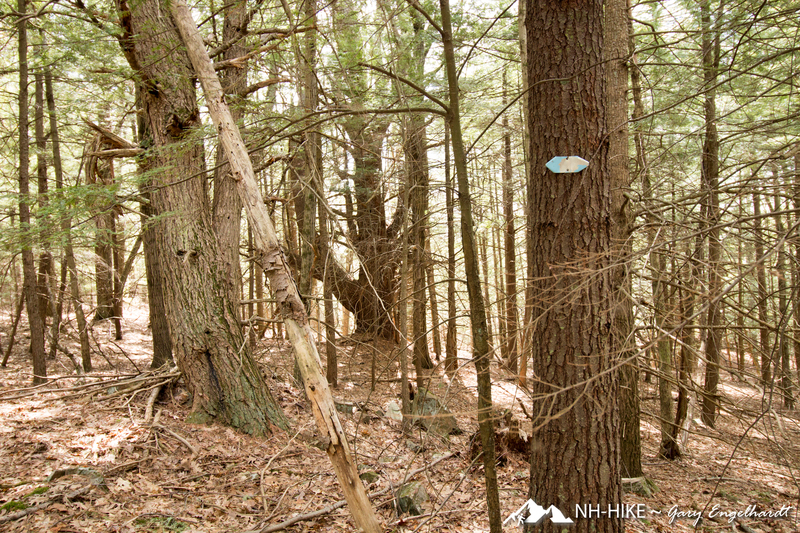 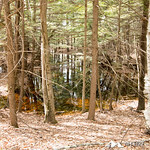 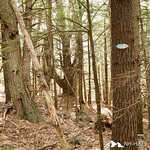 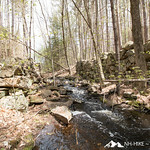 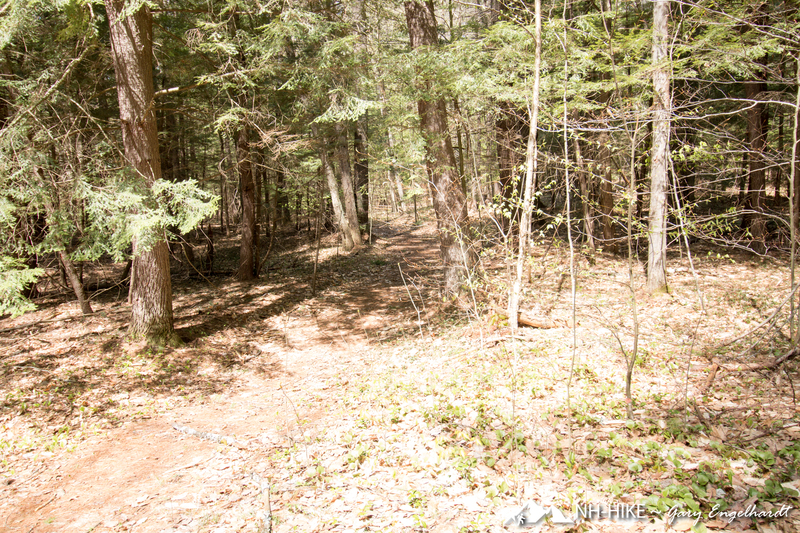 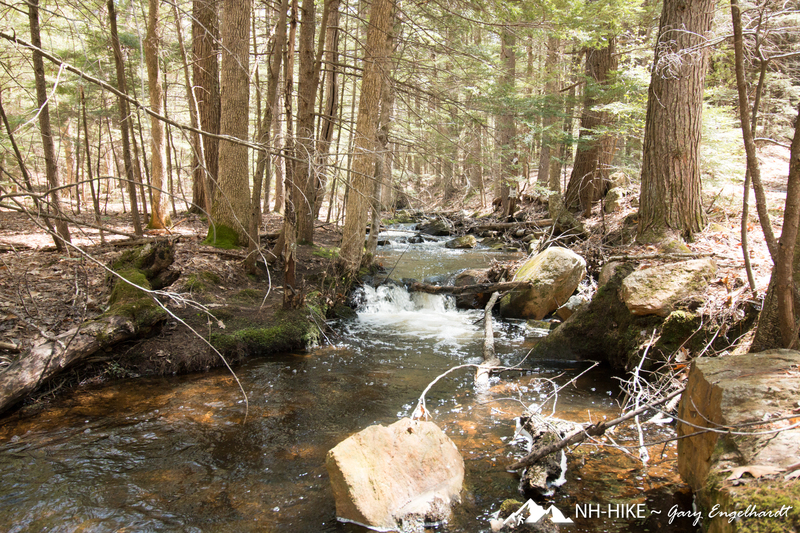 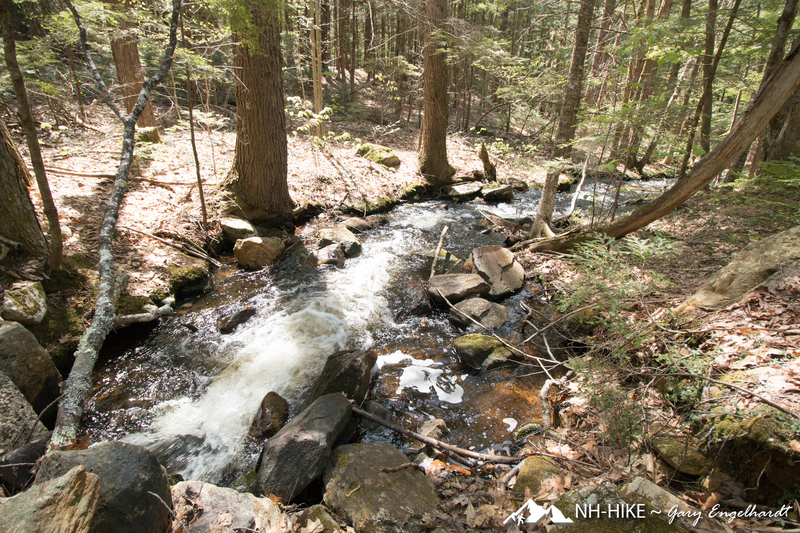 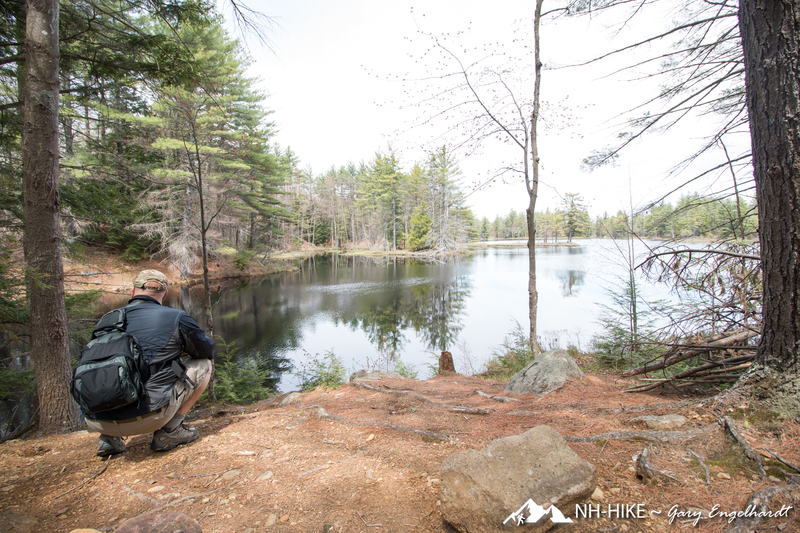 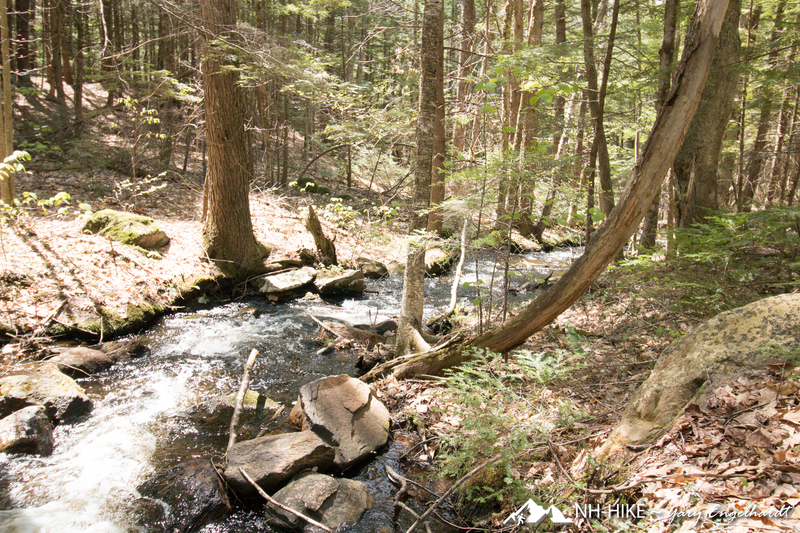 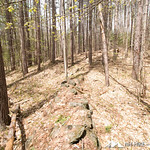 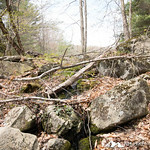 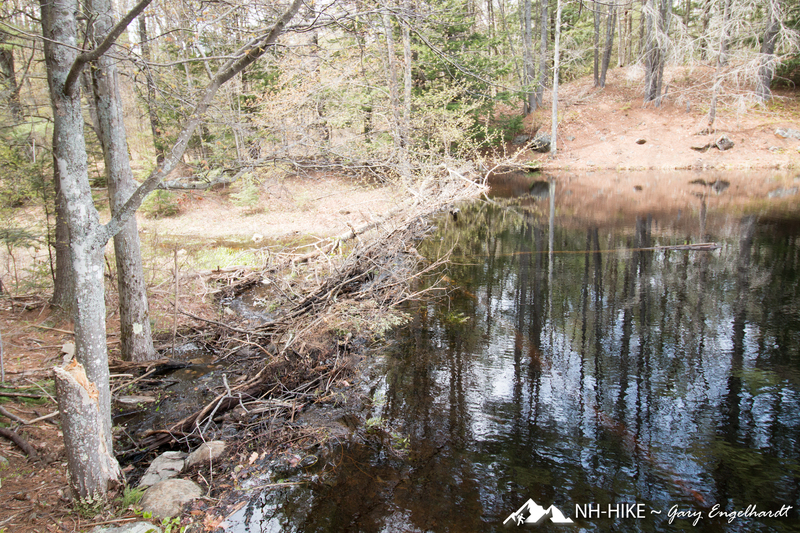 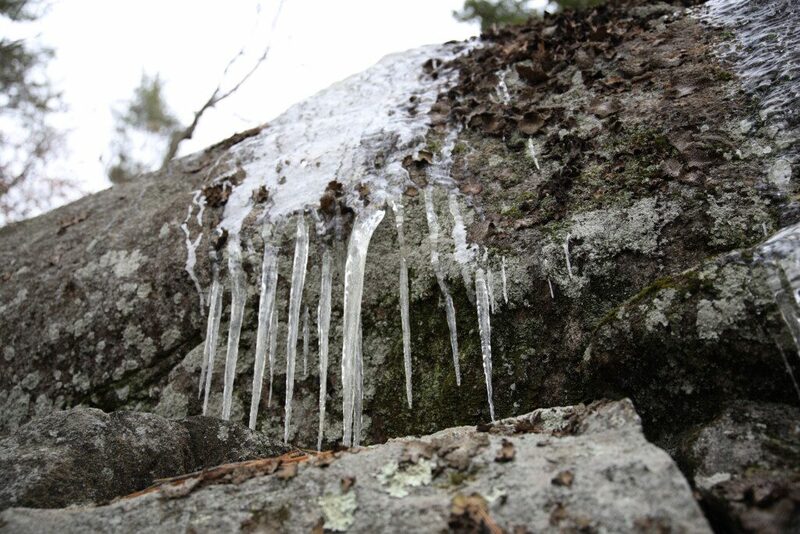 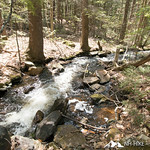 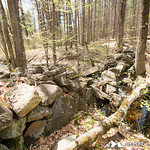 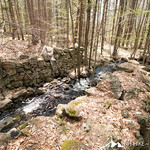 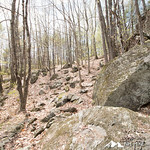 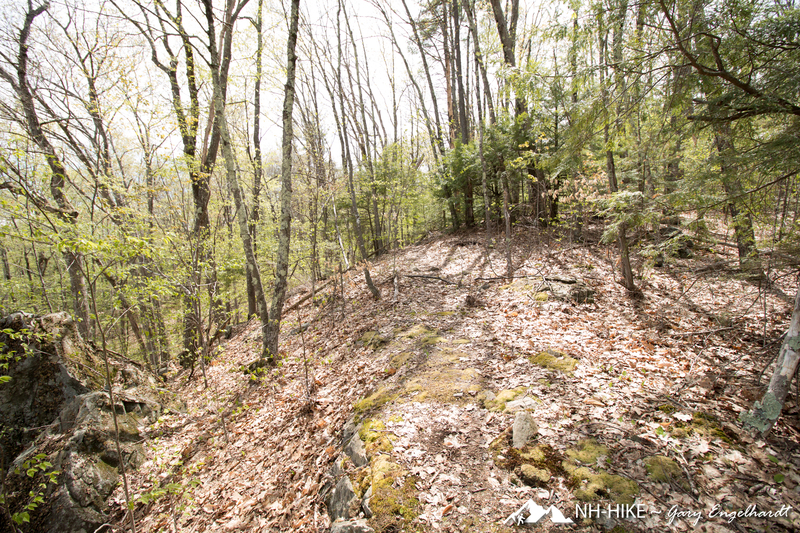 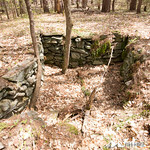 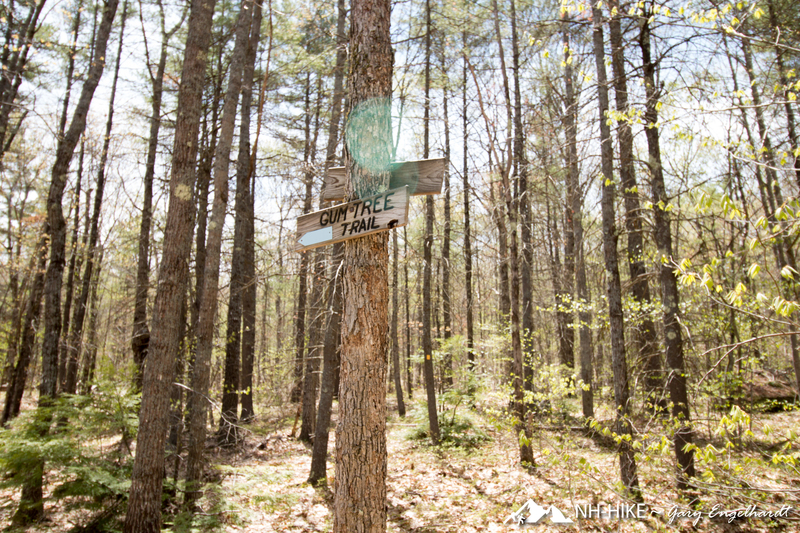 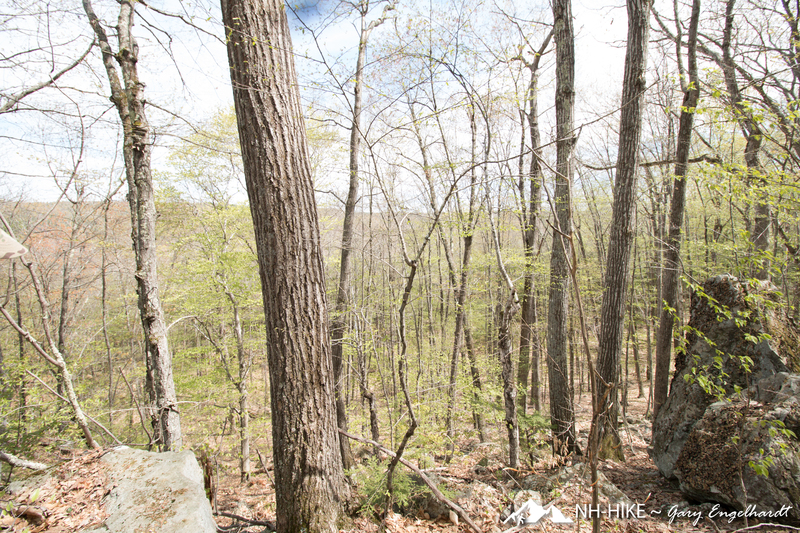 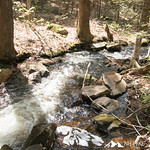 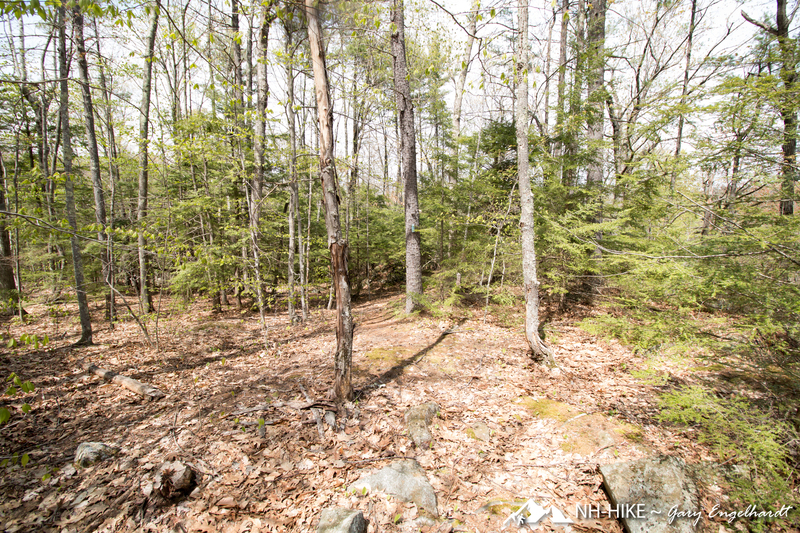 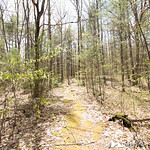 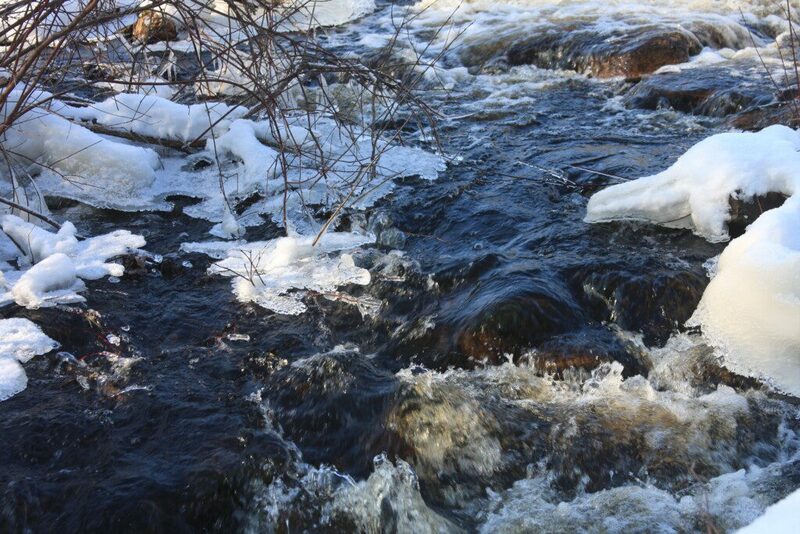 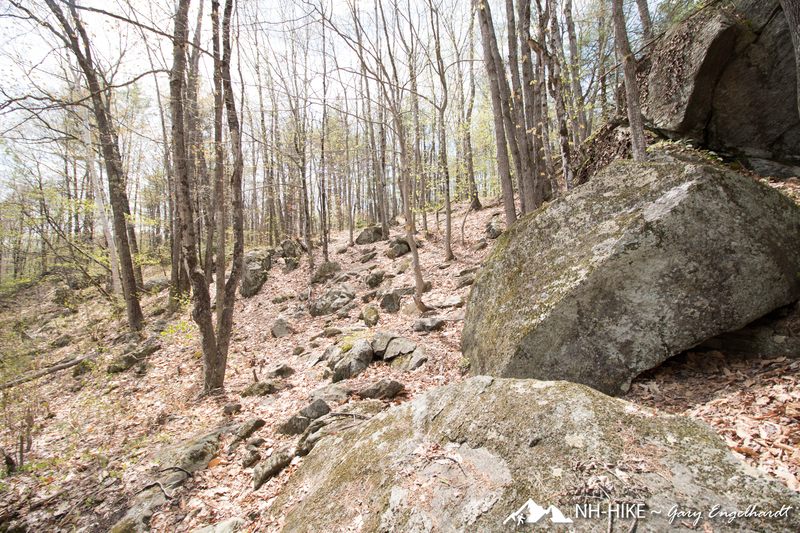 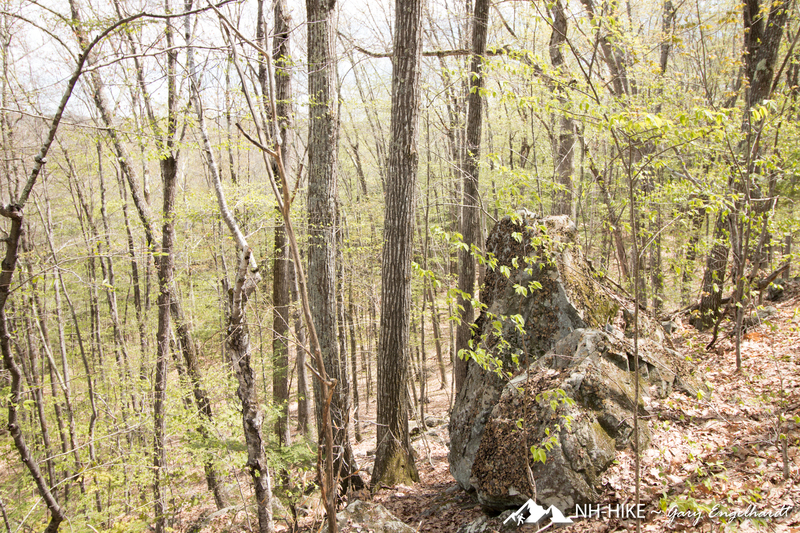 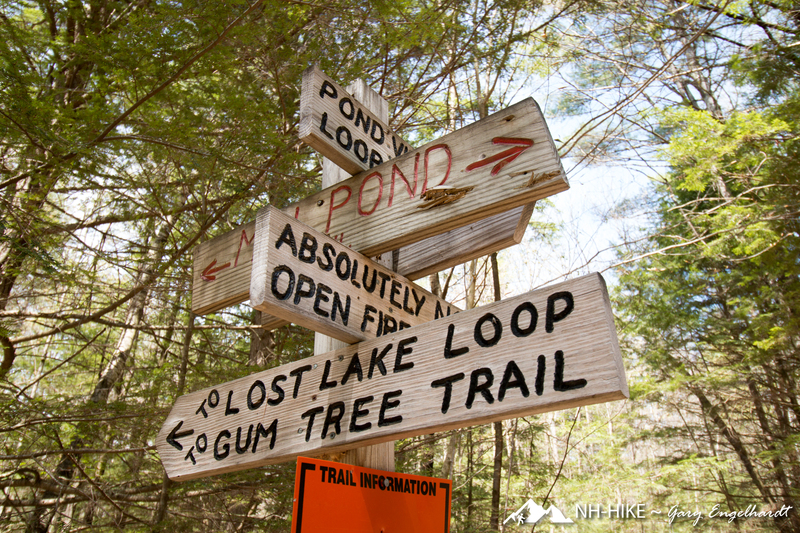 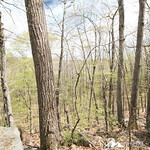 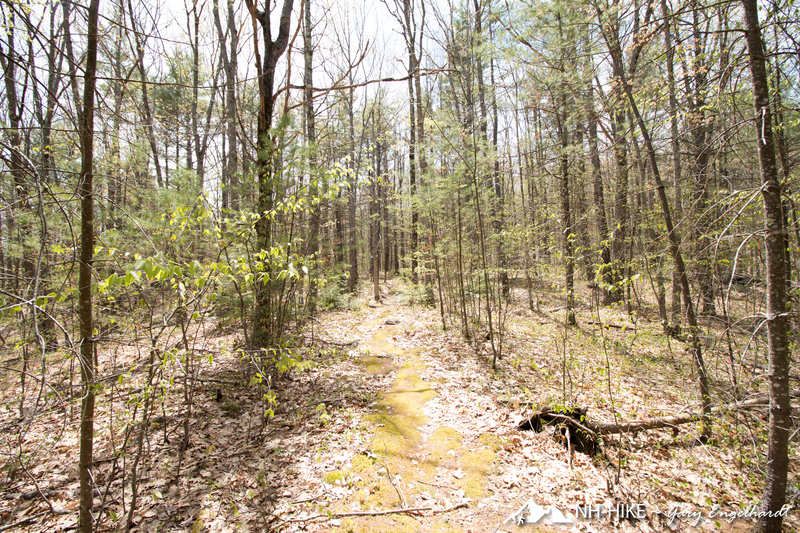 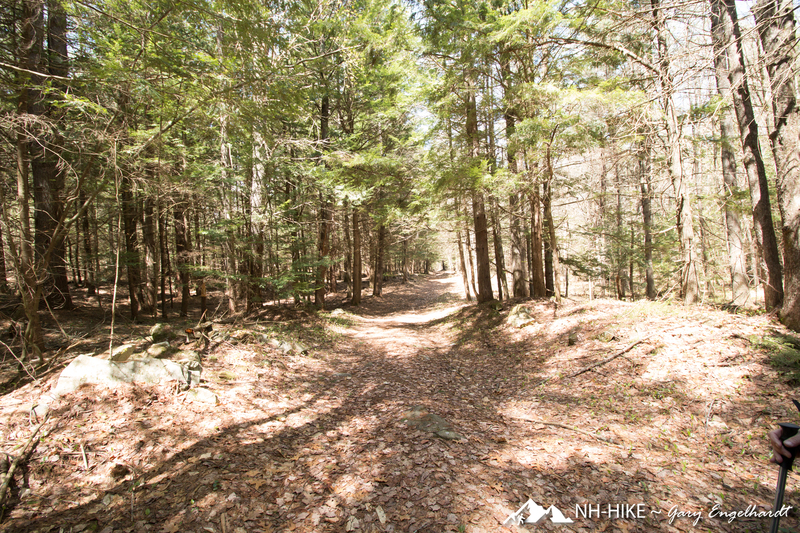 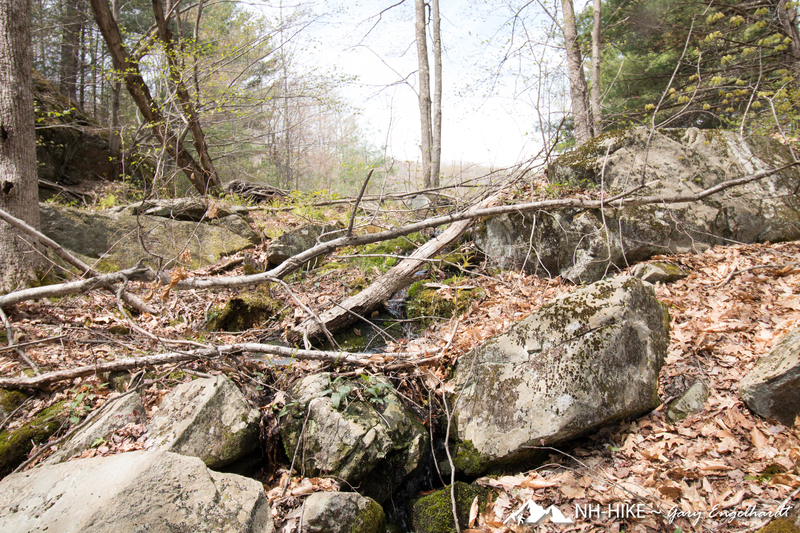 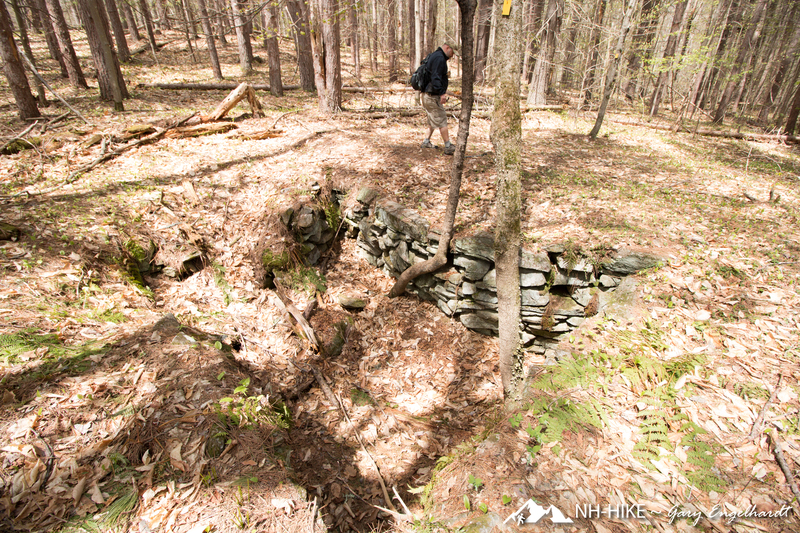 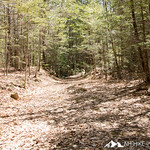 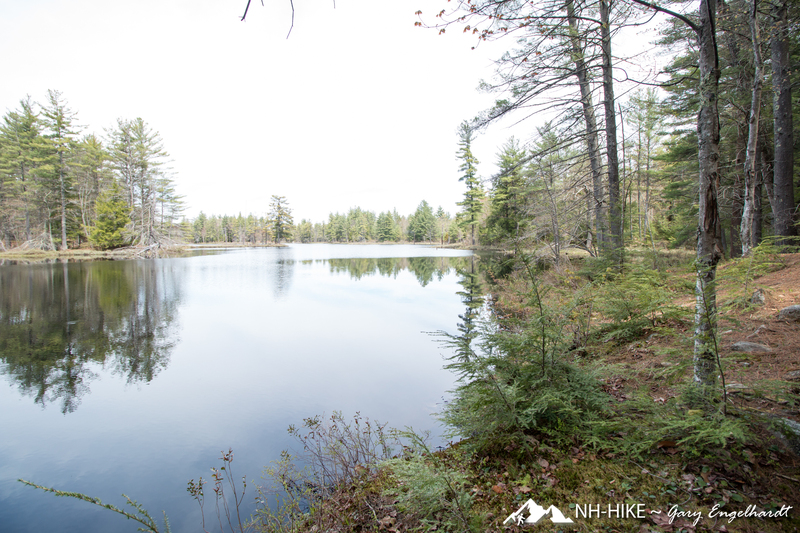 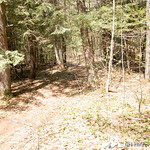 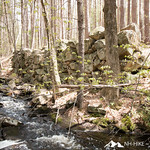 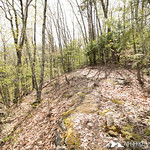 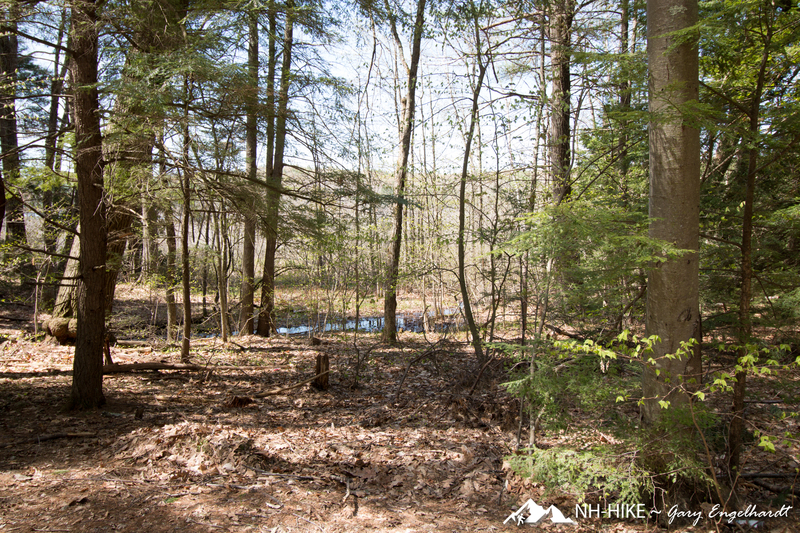 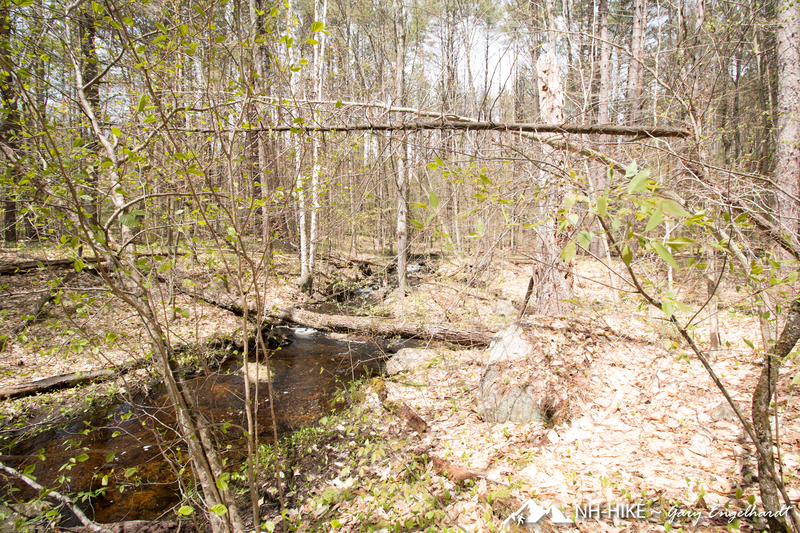 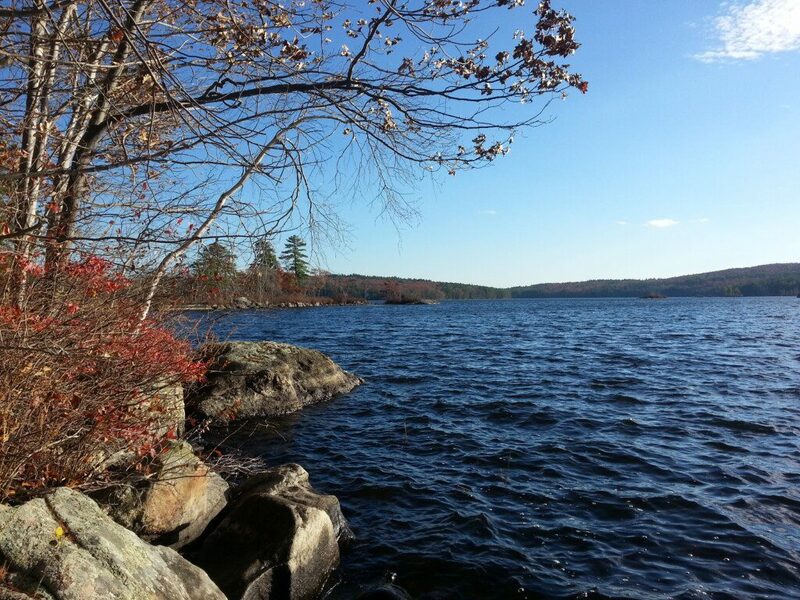 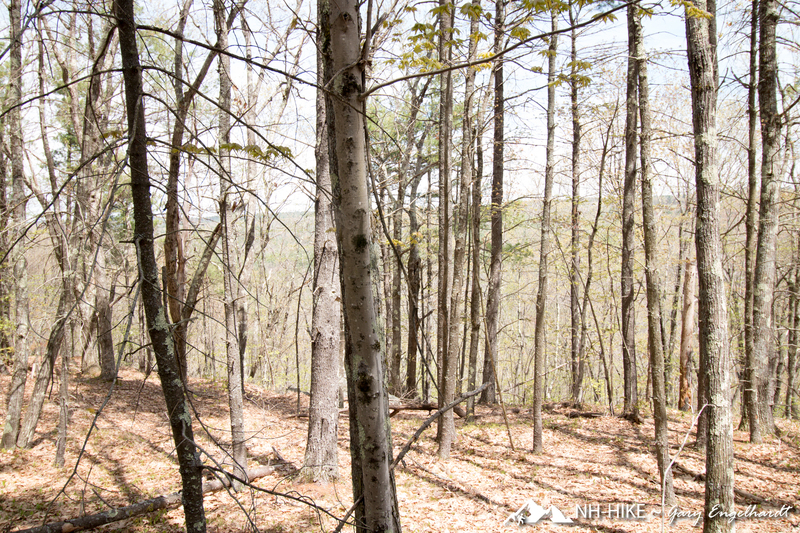 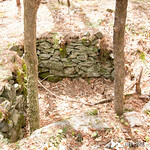 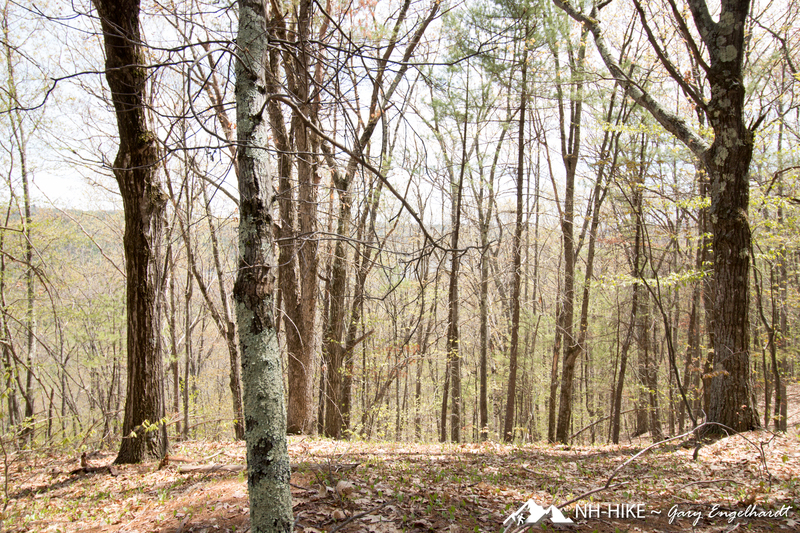 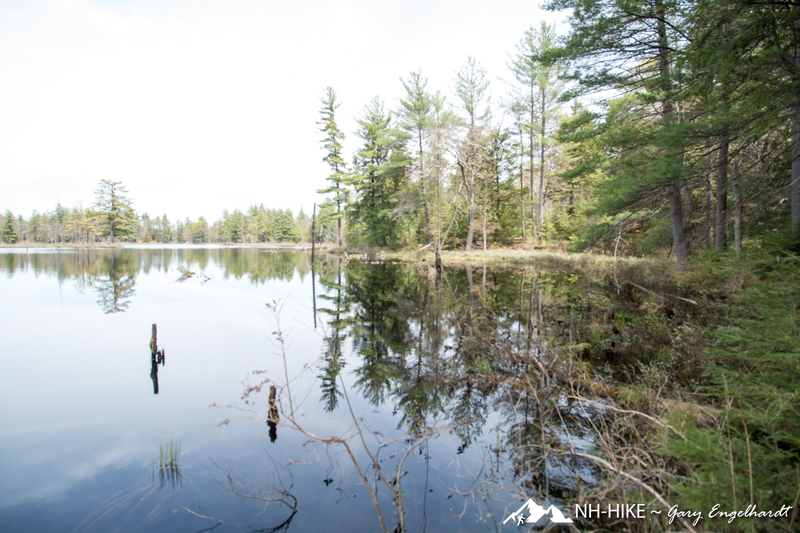 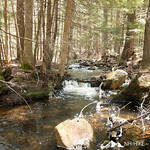 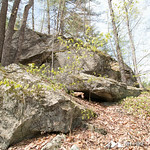 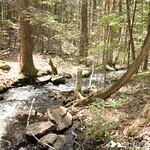 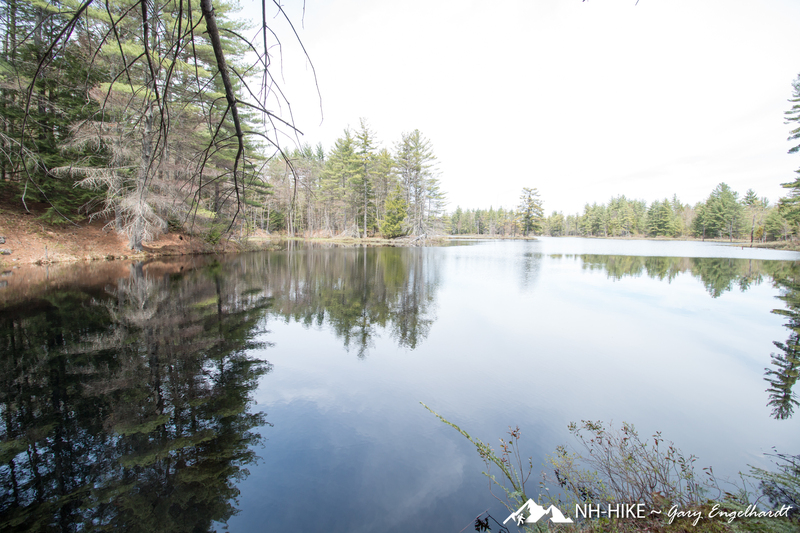 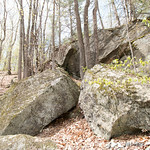 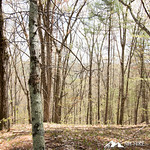 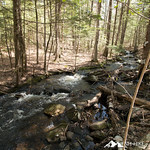 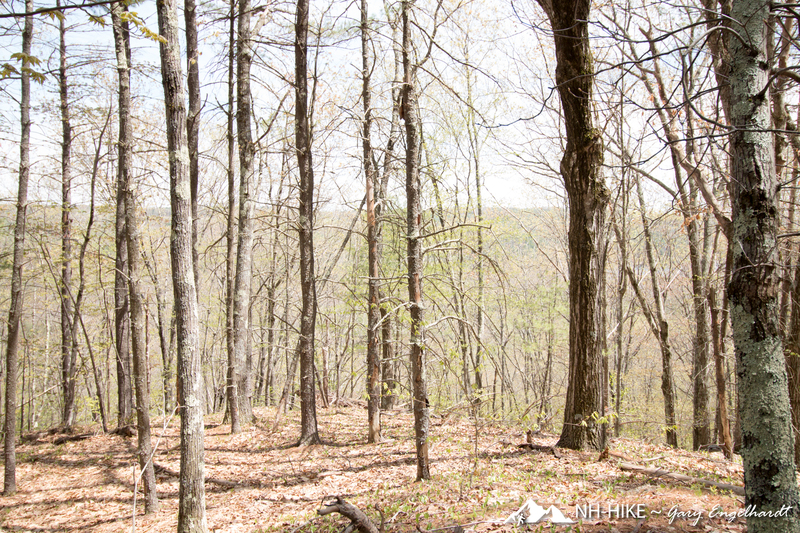 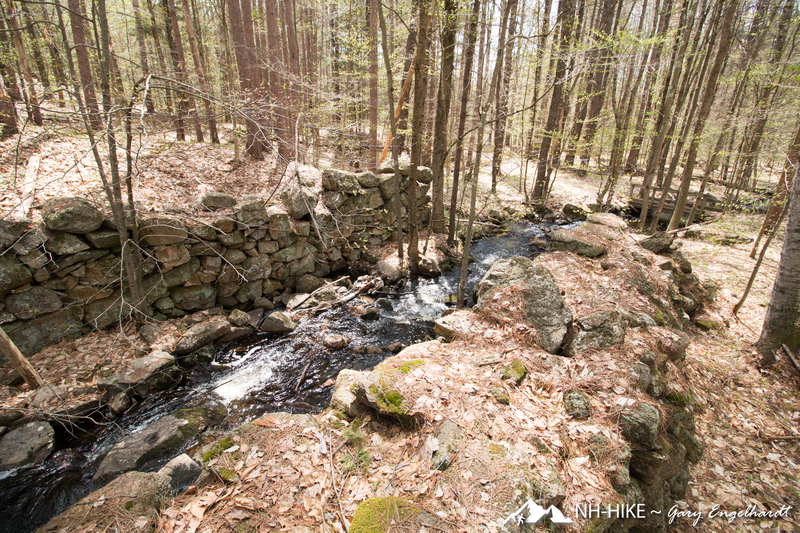 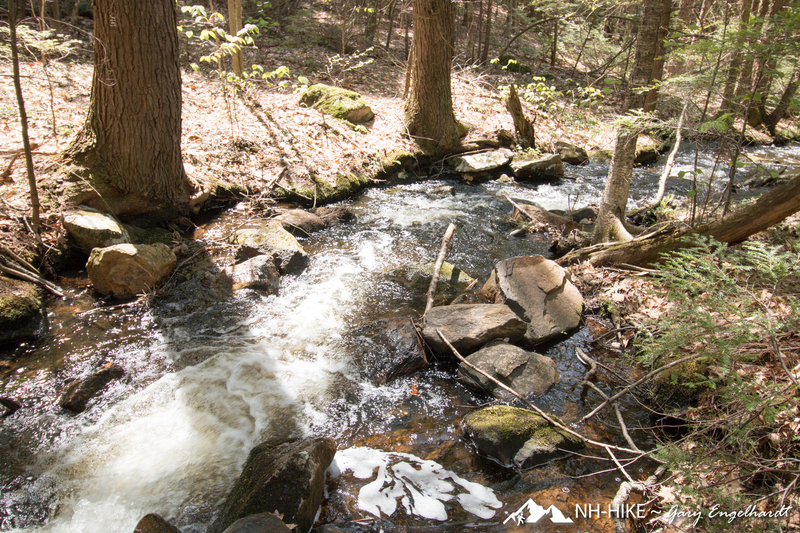 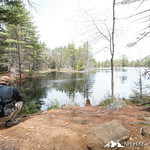 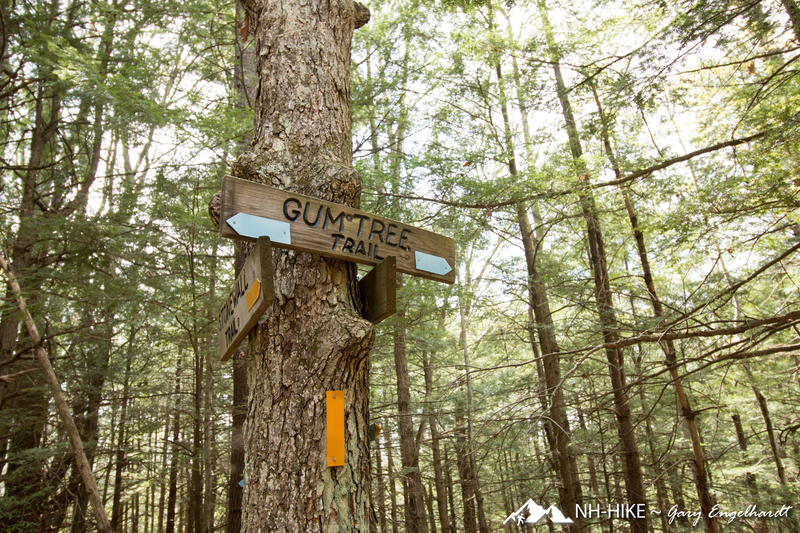 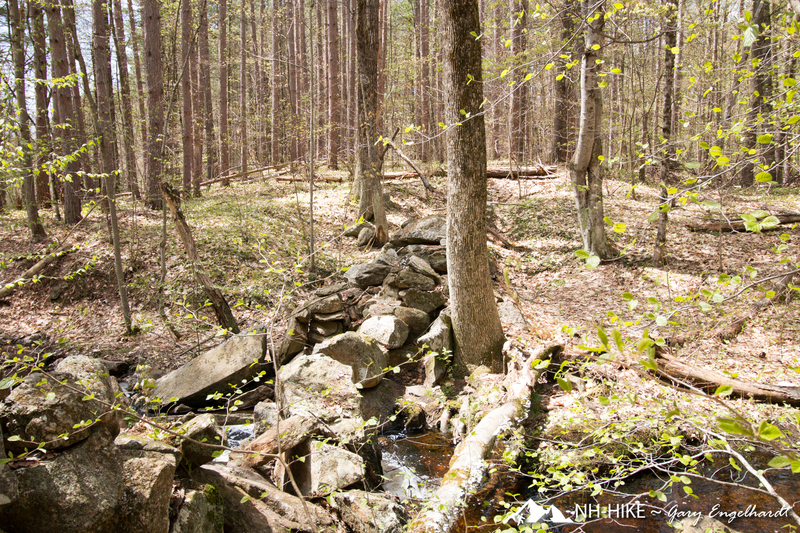 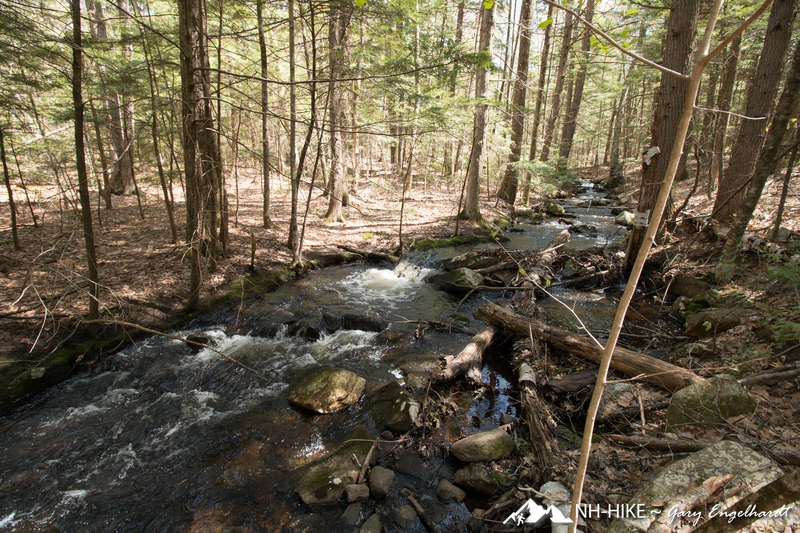 The Kuncanowet Town Forest is located in Dunbarton NH and is a designated Conservation Area that derives its name from the Kuncanowet Hills. 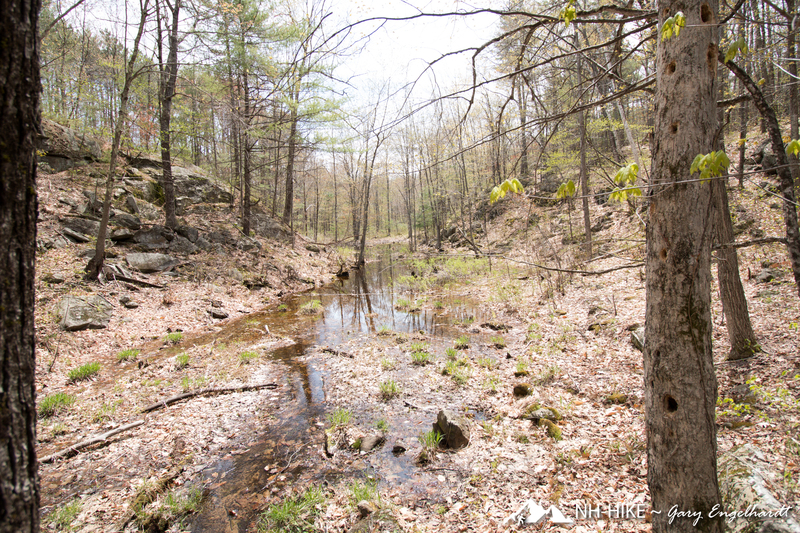 The images in this post were taken with a Canon EOS-70D and a 10-18mm wide angle lens at 20 megapixels. 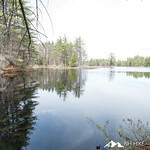 the RAW images were adjusted for brightness as needed and downsized to 5 megapixels using Adobe Lightroom and converted to JPG format for posting to conserve website storage space. 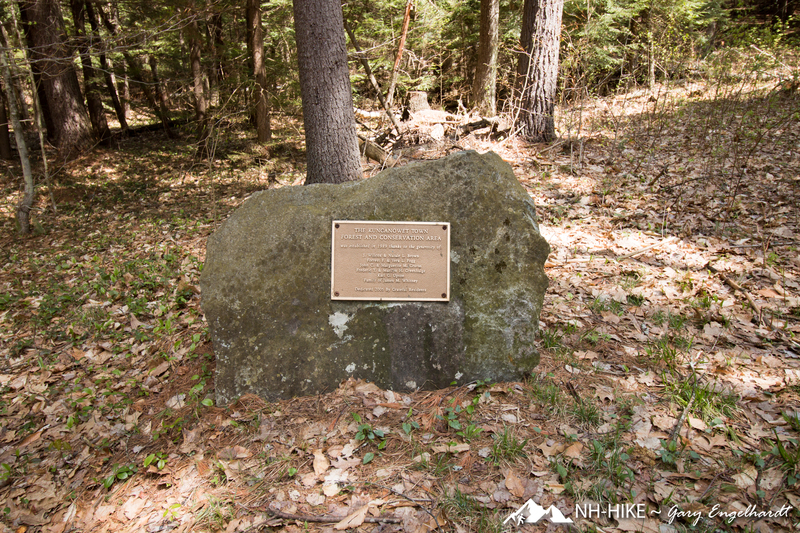 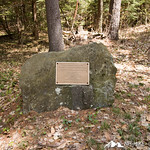 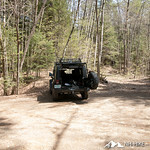 We left from the parking area and followed the old fire/logging road to the right that was identified as Mill Pond Trail we soon came to a gate and a plaque mounted to a large boulder with information about the Kuncanowet Town Forest and Conservation Area that we were about to enter. 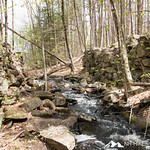 We proceeded down the Mill Pond Trail in a mostly conifer forested section of the hike, going past the Hobblebush side trail and stopped to take some pictures at the first stream crossing, then continued onward until we reached the wooden bridge where the stone structure for the old Stinson Mill is still standing. 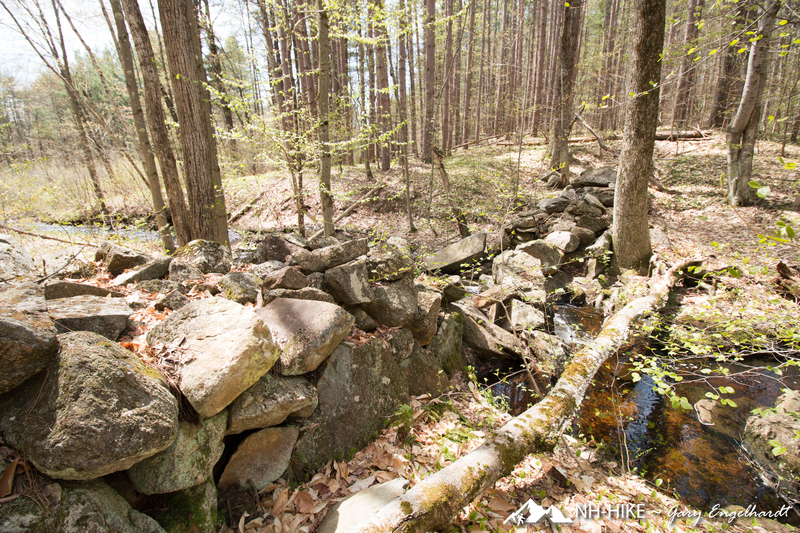 Looking upstream from the wooden bridge towards the pond there are the remains of the boulder’s stacked as foundation for the raceway for the Stinson mills that once existed here. 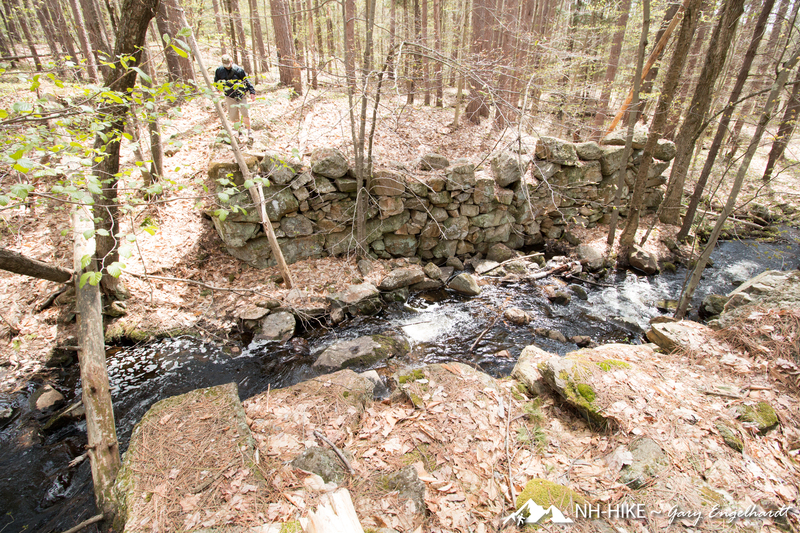 One was a shingle mill and the other was an up-and-down sawmill. 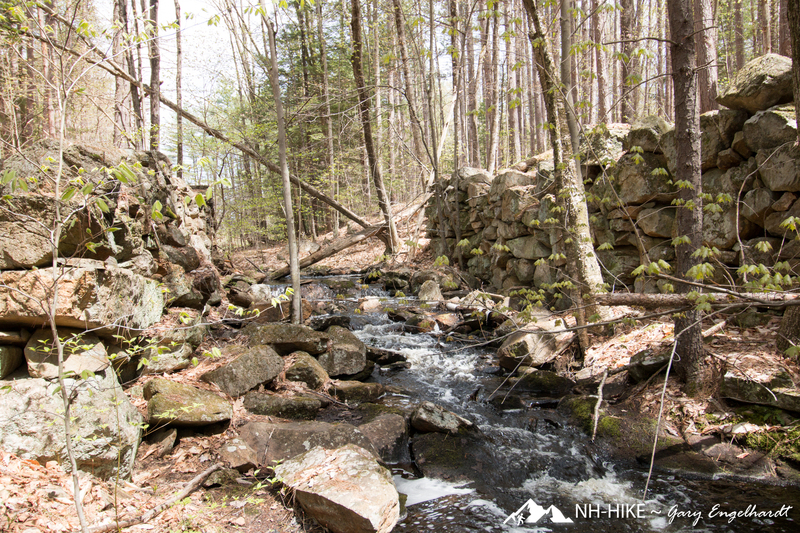 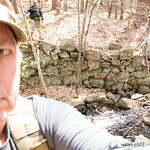 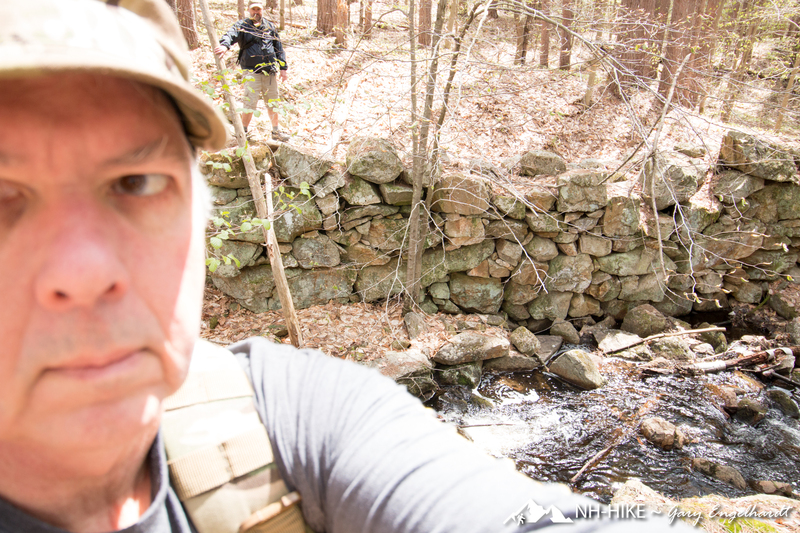 We took a short side trip from the bridge passing next to the stone structures to get to a view-point near the dam of the Stinson Mill Pond. 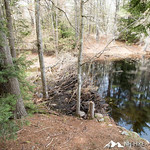 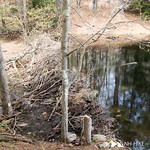 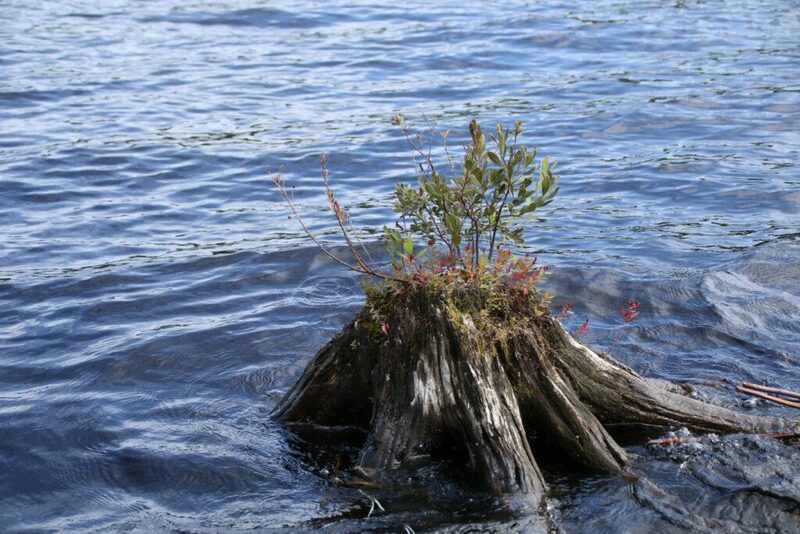 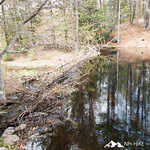 This pond is of good size and may have decent fishing and there is a clear area near the water without obstruction. 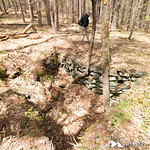 Progressing past the bridge we turned left onto the Mill House Trail crossed another wooden foot bridge and located the remains of a small in ground rock foundation there the mill house formerly stood, there were two trees growing from inside the foundation and one of the walls is partially collapsed due to pressure from the surrounding soil. 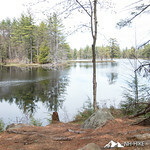 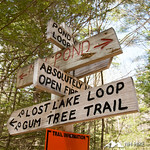 After returning from the mill house back to the mill pond trail we continued down mill pond trail until reaching the junction of the Lost Lake loop trail and turned left to avoid circling the marsh as the black flies were starting to swarm as we walked. 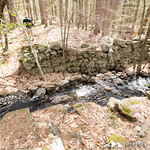 There is what appears to be a small spring fed stream at this part of the hike as the water was exiting the ground at the highest point before the boulders, the water was quite cold to the touch, we then did a bit of easy climbing over and around large boulders as we approached the junction of the Gum Tree Trail loop and we decided to take the route that held the promise of two overlooks that were shown on the map, managed to locate both overlooks, but due to forest growth the view was very limited and you could barely make out the water of Gorham Pond through the trees. 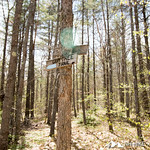 I don’t suspect that it would be visible at all once the leaves come out in the forest. 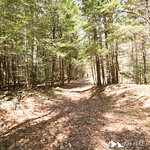 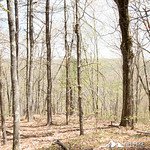 Most of the forest on this trail were deciduous trees grey American beech, red oak, and paper birch with a few conifers. 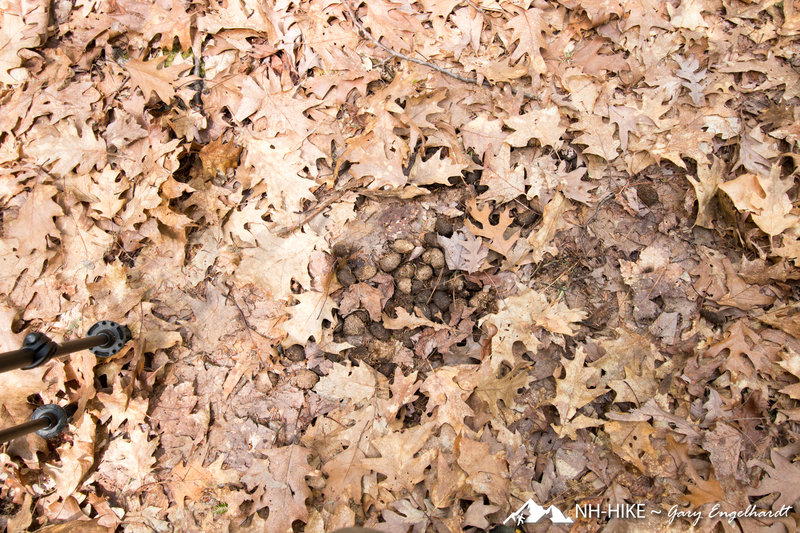 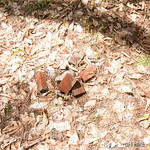 There was a thick layer of dead brown leaves on the trail from last fall. 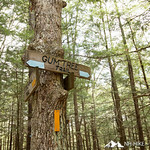 We spotted the yellow blazes as we looped around the end of gum tree trail, and thought it was for the Stone Wall Trail and did not make the turn continuing forward, sadly it was the short trail to the marsh where the Gum Tree is located, so we completely missed seeing the tree, a sign indicating Gum Tree instead of the yellow blaze would have helped. 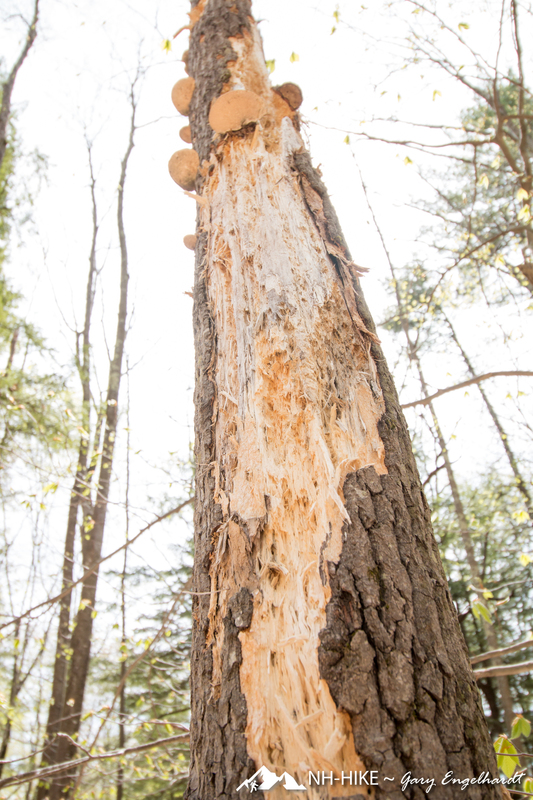 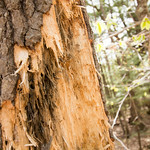 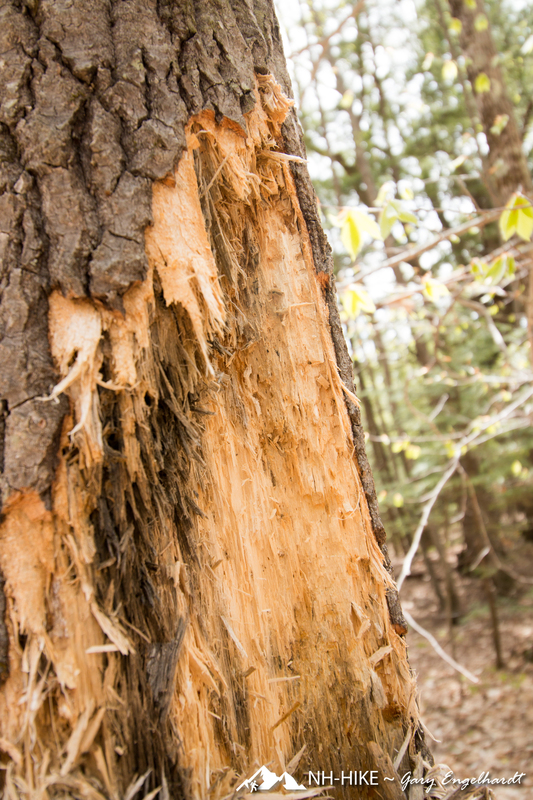 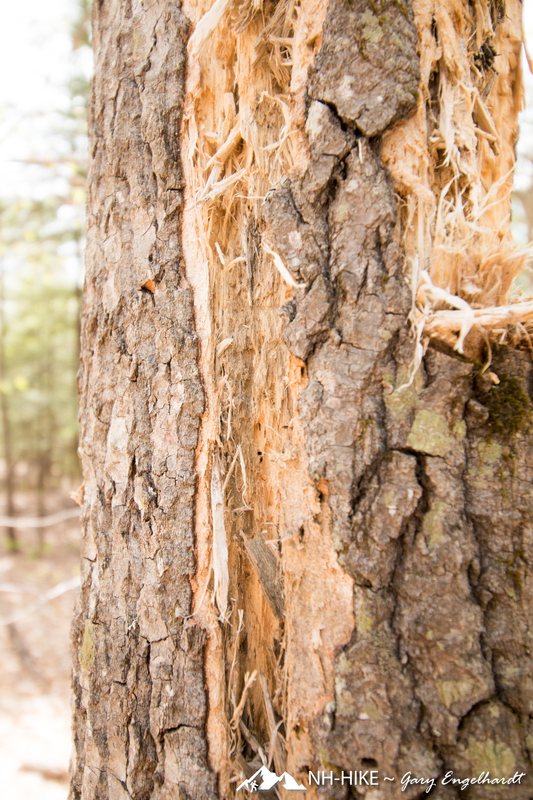 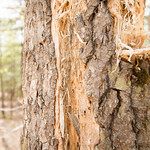 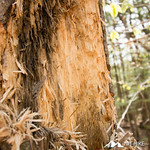 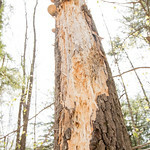 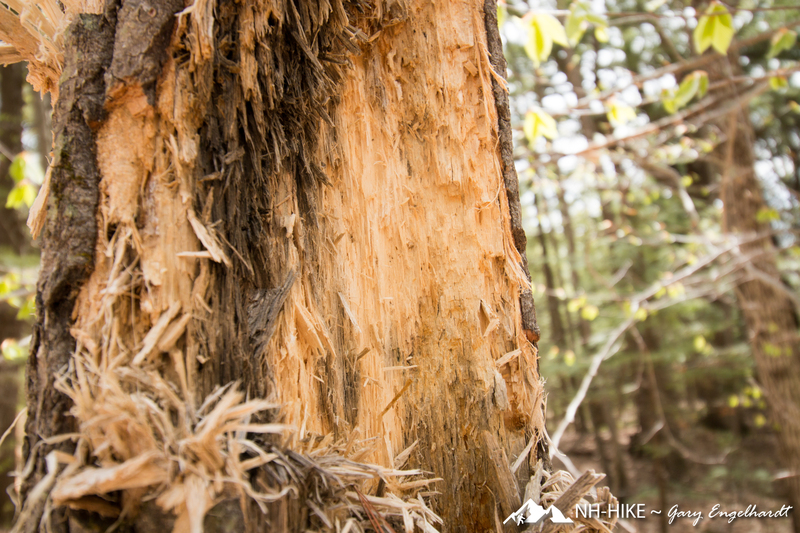 Hiking forward we came upon several trees that had been gouged out and bark removed, not sure if it was done by bear, but assumed so as the scrapes on one of the trees was about 8′ up the tree, too high for antlers from a moose or buck. 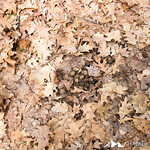 Moving forward again we came upon a leaf covered pile of moose or deer dung, it was not fresh and disappointingly not an indication of any active residents. 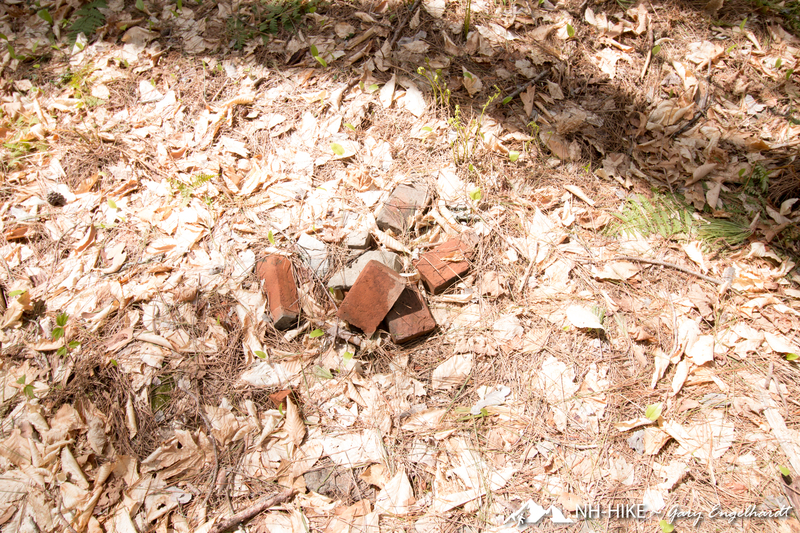 The only footprints we came across were that of human’s. 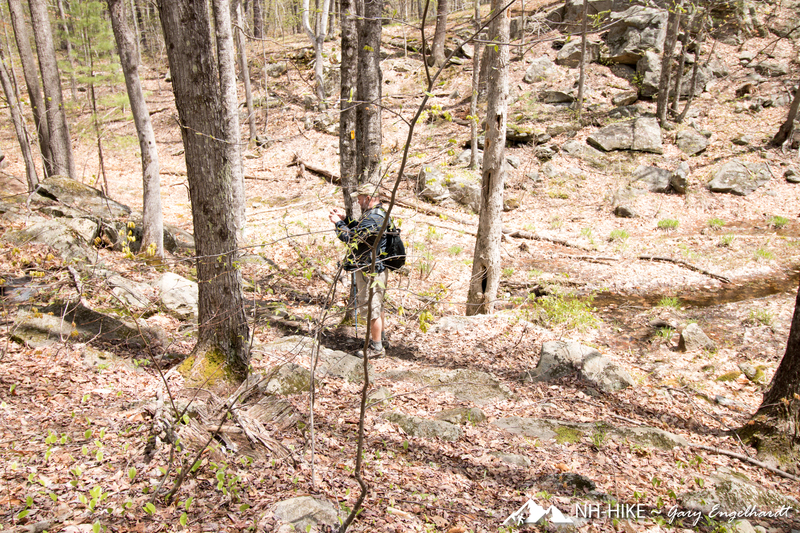 We eventually came upon the actual Stone Wall Trail on the right and took it across and back to a point close to the first overlook as the bugs were getting quite intense. 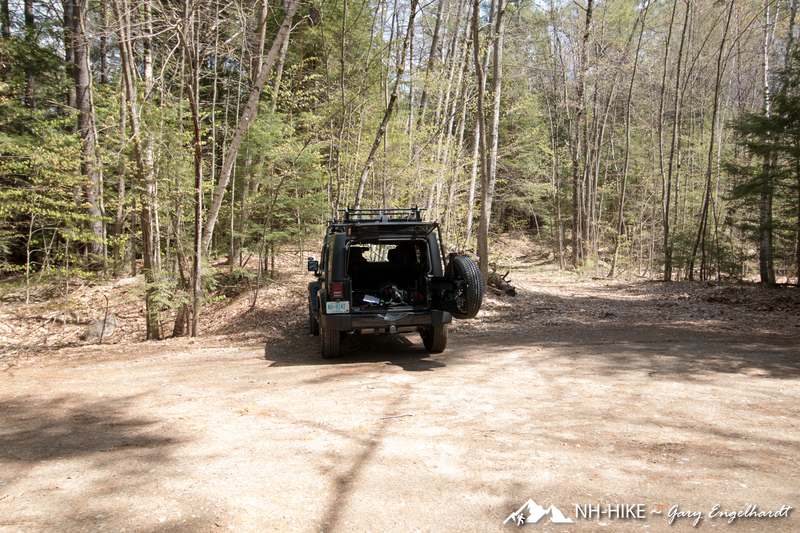 We then retraced our steps back to the parking lot. 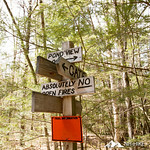 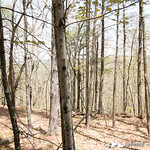 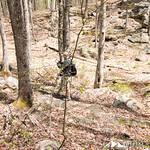 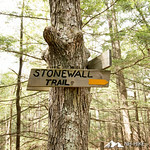 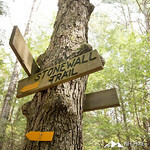 These trails are very well marked with painted aluminum markers on the trees and are spaced close enough together that you can see the next marker with ease, especially useful as the trails zig-zag in several places where without the markers the trail would be difficult to follow as this area does not get a lot of foot traffic. 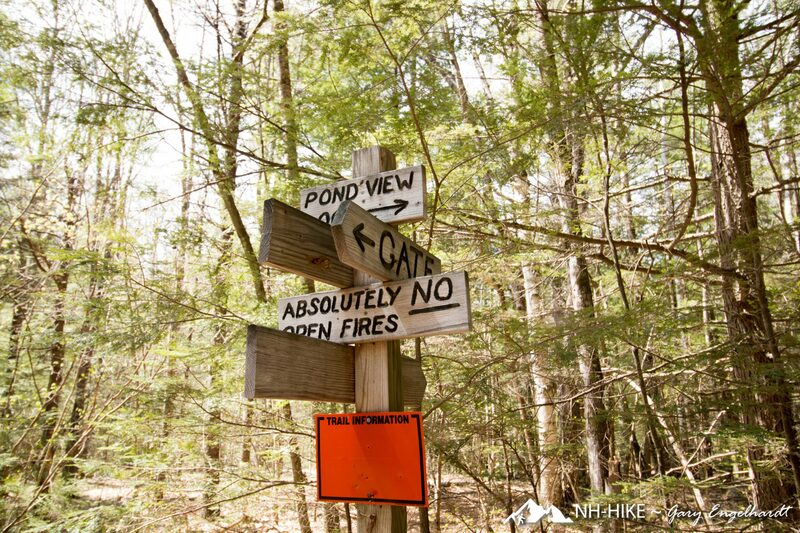 This area may be frequented by hunters during hunting season, if you hike at that time of year in this forest please remember to wear bright orange.